German bass Malte Roesner, who was born in the United States, will be premiering a quintessentially American song cycle by Clint Borzoni, based on the poetry of Wendell Berry. The cycle, which is entitled "The Hidden Singer" revolves around seven poems all associated with birds, which are normally correlated with high soprano voices. The low, male voice works well with Berry's settings, who has been dubbed the "conservationist poet," and Borzoni's music grounds these works solidly in nature and the Earth around us. The song cycle is scored for string quartet, but opens with an a cappella setting. The concert will be held at Ansel Adams' former home in San Francisco and tickets include a generous supply of wine and food, in keeping with Musica Marin's tradition to present chamber music in the original intimate, salon setting of a home. The song cycle will be paired with Mendelssohn's String Quartet in A minor. Tickets for the June 3rd concert are available online. The song cycle was commissioned specifically for Roesner, and Borzoni said that he learned a lot from working directly with the singer, who is also a musicologist and recently transitioned to a lower voice range. "Artistic expression can speak to us on many different levels. It can be emotionally beguiling or intellectually stimulating or aesthetically pleasing. Only exceptional art has the ability to reach us on all of them simultaneously. The same way that multi-sensory learning is the most effective way of understanding or memorizing something, I think that this multi-level impact is what makes art captivating. The poems by Wendell Berry do have this quality. They are modern poems, but they are also timeless through their imagery of nature and metaphor and in their deeply spiritual sense of connectedness. We are very lucky that in this song cycle Clint was not only able to capture these qualities and feelings, but augment them by adding his own artistic depth. Either this is just a very lucky pairing or Clint has shown an exceptional sensibility when writing this music (probably both), because I feel that his composition possesses the same timelessness and captivating visceral quality as the poems. There is an earthy and "woody" feeling to the music, yet it washes over you like water. At other times there are almost folkish elements that dance with an aerial lightness. And I am sure I could also describe a fiery quality in order to cover ALL the alchemistic elements...There is not a lot of art song literature written specifically for the bass voice, maybe because this voice type functions a little bit differently than high voices or because it feels as if it only lends itself for very specific topics. I feel that this song cycle is a truly special and important addition to the bass song repertory, because it just... works... and then gets you in the feels." Borzoni, who is the Composer-in-Residence at Musica Marin, has become associated for writing for low male voice. He has written a song cycle for bass-baritone Tim Hill, several songs for bass-baritone Randal Turner (based on Walt Whitman's poetry) and penned two pieces for String Quartet and baritone for Marco Vassalli based on German settings. His opera "When Adonis Calls," which is scored for baritone and bass-baritone, is receiving performances in both Asheville and Chicago this year. He also wrote the two-act opera “Antinous and Hadrian,” which features a baritone lead. His opera The Copper Queen, won Arizona Opera's Sparks Competition for new works, and is based on a true story about the alleged ghost of a prostitute haunting a historic hotel in Bisbee, Arizona. Roesner made his highly-acclaimed U.S. stage debut last year with West Edge Opera in Soler's The Chastity Tree, as well as his recital debut performing music by Soler and Süßmayr. He recently performed the Devil in Weinberger's Schwanda, der Dudelsackpfeifer (Schwanda, the Bagpiper) at the Stadttheater Gießen in Germany. You can watch Italian barihunk Mattia Olivieri as Alphonse XI in Donizetti's La Favorite from the Maggio Musicale Fiorentino, which was taped earlier this year. Click HERE to watch it on OperaVision. The performance is of the French version rather than the more commonly performed Italian version La Favorita, which differs in various melodic parts and has a revised finale. La Favorite, which premiered at the Académie Royale de Musique in Paris on December 2, 1840 is one of the most important works in Donizetti’s French period. The opera is the second work in the genre composed after Les Martyrs and before Dom Sébastien, roi de Portugal, and was a huge success with Paris audiences. The story revolves around a love triangle involving the King of Castile, Alfonso XI, his mistress ('the favorite') Leonora, and her lover Fernando. The story unfolds against the background of the Moorish invasions of Spain and power struggles between church and state. Olivieri will return to the role in July, when he alternates the role with fellow barihunk Markus Werba at the Liceu Opera House in Barcelona. Additional information is available online. American barihunk John Brancy, along with sopranos Caroline Hewitt and Laura Corina Sanders, took top honors and $15,000 in prize money at this year's Lotte Lenya Competition. This was Brancy's second appearance at the Competition, having originally competed in 2008 when he won the Lys Symonette Award for Outstanding Performance of an Individual Number. The competition is open to singers born after April 15, 1985. Brancy performed “Uzhel ta samaja Tatiana” from Tchaikovsky's Eugene Onegin, “This is New” from Kurt Weill's Lady in the Dark, “Awaiting You” from Guettel's Myths and Hymns and “Soliloquy” from Rodgers & Hammerstein's Carousel. 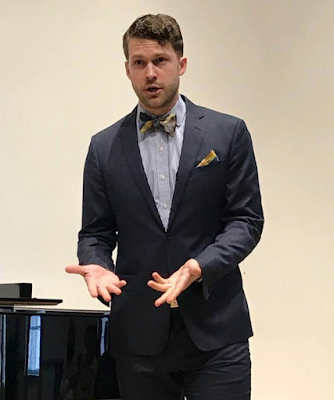 A number of baritones have won top prizes at the Lotte Lenya Competition, including Bradley Smoak in 2017, Brian Vu in 2016, Ben Edquist in 2014, Douglas Carpenter in 2013 and Justin Hopkins in 2012. Brancy has previously won 2nd Prize at the Wigmore Hall International Song Competition in London and the Media Prize in the Hans Gabor Belvedere Singing Competition in Moscow. This fall, he returns to Oper Frankfurt for a new production of Olga Neuwirth's Lost Highway directed by Yuval Sharon. 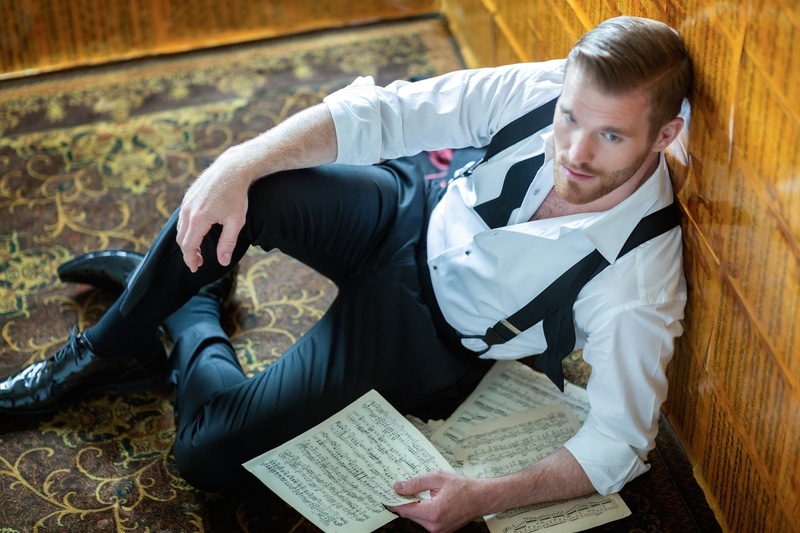 This summer, Brancy will perform at the Carmel Bach Festival, where he's slated to sing in Orff's Carmina Burana and Bach's St. Matthew's Passion. 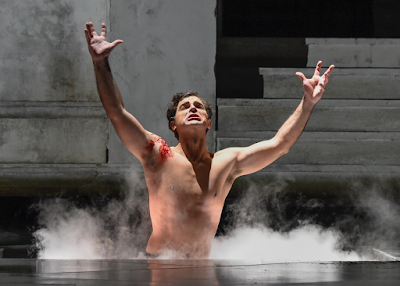 The Dallas Opera has announced that American barihunk Craig Verm will take over the title role in the remaining performances of Mozart’s Don Giovanni, after having replaced Mariusz Kwiecien to great acclaim on opening night. Verm will sing the final three performances, beginning with today's performance and running through April 29. Tickets are available online. 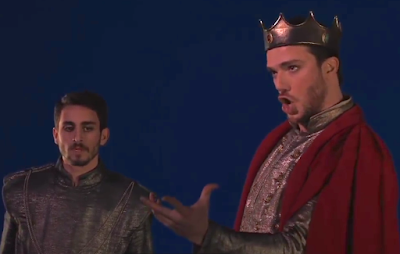 Verm was originally scheduled to sing the role of Masetto, which will be sung by barihunk André Courville, who is making his Dallas Opera debut. Leporello will be sung by Kyle Ketelsen, who has made the role of Don Giovanni's sidekick a signature role. The all-star cast also includes Laura Claycomb, Katie Van Kooten, David Portillo, and Virginie Verrez with Emmanuel Villaume conducting. Upcoming performances for Verm this year include Haly in Rossini's L'italiana in Algeri at the Santa Fe Opera, Lieutenant Gordon in Kevin Puts' Silent Night with the Austin Lyric Opera and Marcello in Puccini's La bohème at the Pittsburgh Opera. 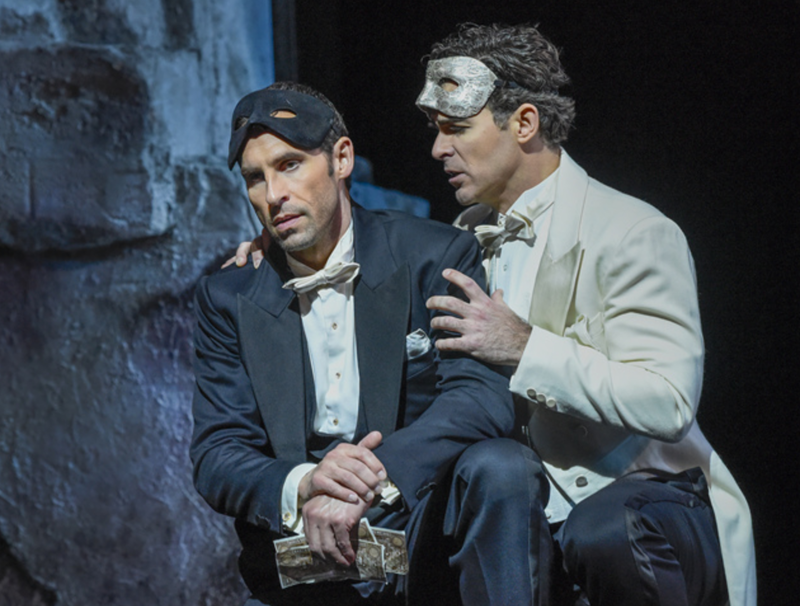 In October, Kyle Ketelsen will sing another signature role, when he reprises his highly acclaimed portrayal of Escamillo in Bizet's Carmen at the Metropolitan Opera. Craig Verm, who was slated to sing Masetto in the current run of Mozart's classic opera Don Giovanni at the Dallas Opera, stepped in for an ailing Mariusz Kwiecien to make his role debut as the title character. 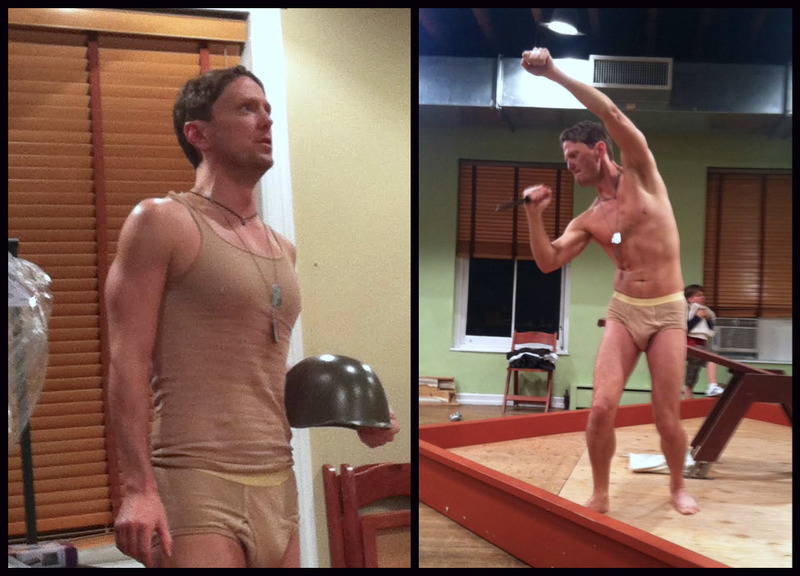 Verm was replaced by fellow barihunk Andre Courville as Masetto and fellow barihunk, Kyle Ketelsen, sang Leporello. The all-star cast also included Morris Robinson as the Commendatore, David Portillo as Don Ottavio, Laura Claycomb as Donna Anna, Katie van Kooten as Donna Elvira and Virginie Verrez as Zerlina. Performances run through April 29th. 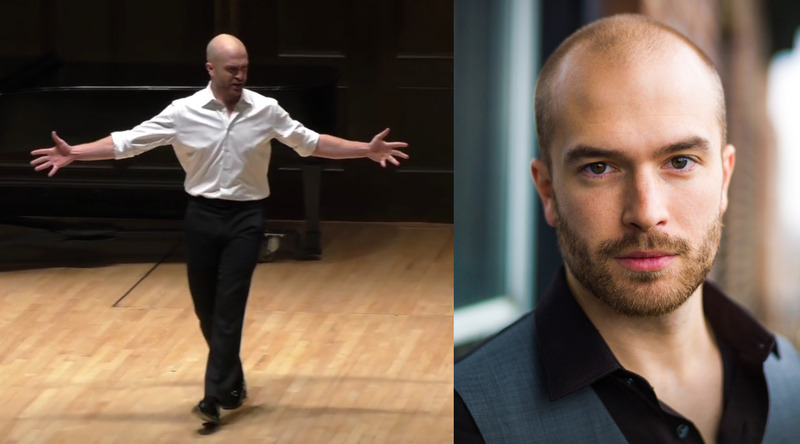 Australian barihunk Morgan Pearse will make his Wigmore Hall solo debut on May 13th accompanied by Simon Lepper on the piano. Pearse will perform six songs by Johannes Brahms, Richard Strauss' Vier Lieder, Opus 27 and Samuel Barber's settings of James Joyce's poetry. This isn't the first time that Pearse has performed at Wigmore Hall, but it does mark his solo recital debut. In 2013, he joined the Françoise-Green Piano Duo for Schumann's Liederkreis Op. 39 and Vaughan Williams Songs of Travel. On April 21st, Pearse can be heard as Papageno in Mozart's Die Zauberflöte at the Badisches Staatsoper in Karlsruhe. He then heads to Opera New Zealand for a run as Belcore in Donizetti's comic masterpiece The Elixir of Love. The Richard Tucker Foundation as announced that bass-barihunk Christian Van Horn is the winner of the 2018 Richard Tucker Award. He is the first bass-baritone to be win the award since John Relyea in 2003 and only the third in the award's 40-year history. He receives $50,000 for winning the award. Past winners include Stephanie Blythe, Lawrence Brownlee, Joyce DiDonato, Renée Fleming, Christine Goerke, and Matthew Polenzani. Van Horn, who just finished a run as Mephistopheles in the Lyric Opera of Chicago's production of Faust, can next he heard as Enrico in Donizetti's Anna Bolena at the Canadian Opera Company from April 28th-May 26th. In September, he will perform Raimondo in Donizetti's Lucia di Lammermoor at Opera Philadelphia, followed by Mefistofele and Colline at the Metropolitan Opera. 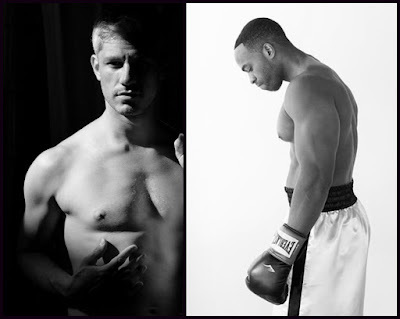 Barihunk trio in Santiago's "Don Giovanni"
The Teatro Municipal Santiago in Chile has assembled an impressive trio of barihunks for their upcoming performances of Mozart's Don Giovanni. The company is presenting dual casts in seven performances from April 16-27. 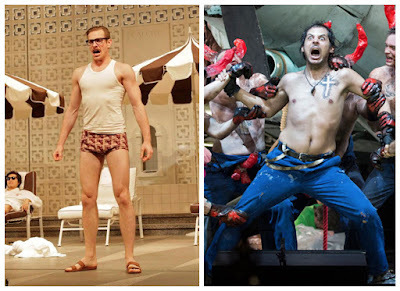 The first cast includes the barihunk trio of Levent Bakirci in the title role, Edwin Crossley-Mercer as Leporello and Soloman Howard as the Commendatore. To top things off, hunkentenor Joel Prieto is singing Don Ottavio. The second cast includes barihunk Daniel Miroslaw in the title role, joined by Sergio Gallardo as Leporello and Soloman Howard as the Commendatore. Tickets and additional cast information is available online. Bakirci, who is new to this site, graduated from the Mechanical Engineering Department of the Middle East Technical University in Ankara before pursuing his career as a singer. He has performed Don Giovanni at the Staatstheater Nürnberg, where he is an ensemble member, as well as the Theater Bremen, where he was a member of the ensemble from 2008-11. 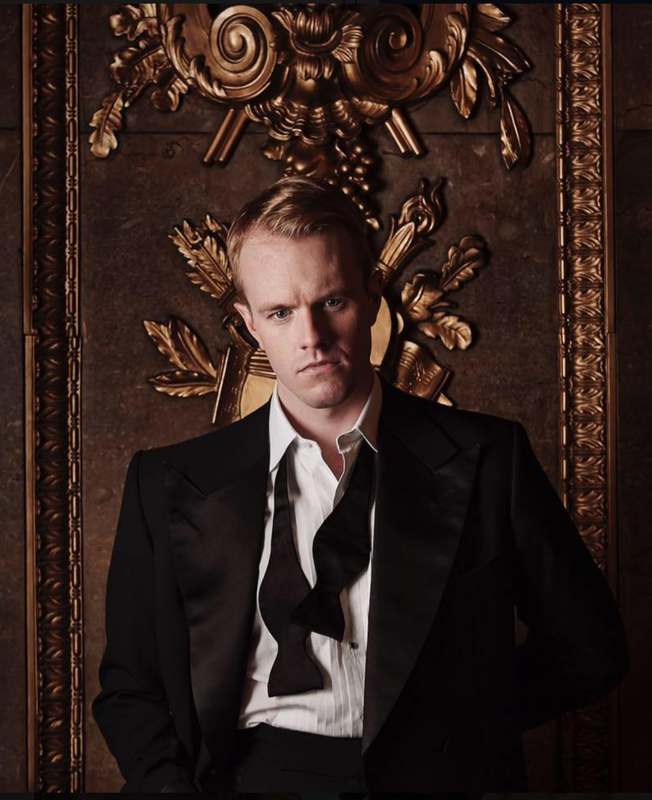 Edwin Crossley-Mercer made his U.K. debut in the role of Leporello at the 2014 Glyndebourne Festival. After wrapping up Don Giovanni, Crossley-Mercer heads to Tokyo to perform Schubert's Winterreise on May 3rd and a set of Hollywood standards on May 5th. He then joins the legendary Bryn Terfel for performances of Berlioz's La Damnation de Faust in Dresden, Antwerp, Amsterdam and Hamburg. Soloman Howard will head to Santa Fe this summer to perform the Bonze in Puccini's Madama Butterfly. Daniel Miroslaw can next be seen at the Oper Frankfurt, where he is an ensemble member, as Quinault in Cilea's Adriana Lecouvreur. 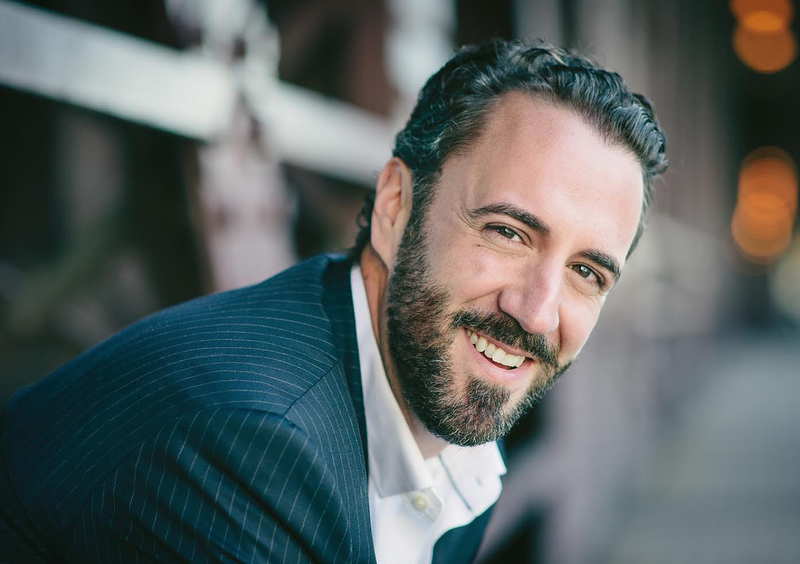 Jarrett Ott will be making his debut at the Lyric Opera of Kansas City and returning to the title character in Rossini's The Barber of Seville, which he first sang with the Dayton Opera. Performances are on April 28 and May 2, 4, and 6 at the Kauffman Center for the Performing Arts and tickets and cast information is available online. Rossini's opera premiered on February 20, 1816 with the title "Almaviva, o sia L'inutile precauzione (The useless precaution)." The famous overture was actually recycled from two of his earlier operas, Aureliano in Palmira and Elisabetta, regina d'Inghilterra and contains none of the thematic material from the opera. The opera was first performed in the United States on May 3, 1819 in English at the Park Theatre in New York and was the first opera ever to be performed in Italian in New York, when it was performed at the Park Theater on November 29, 1825. The famous "Largo al factotum" is one of the most difficult baritone arias to perform and has become an audience favorite, largely due to it's tongue twisting patter. The aria has been frequently used in cartoons, including by Michigan J. Frog in One Froggy Evening, as well as in Rhapsody Rabbit, Long-Haired Hare, You Ought To Be In Pictures, Notes To You and Back Alley Oproar. Jarrett Ott will join the Ensemble of Staatsoper Stuttgart beginning in 2018-2019. Two production of Daniel Catán's exotic opera Florencia en el Amazonas are happening almost simultaneously in two very different parts of the United States. 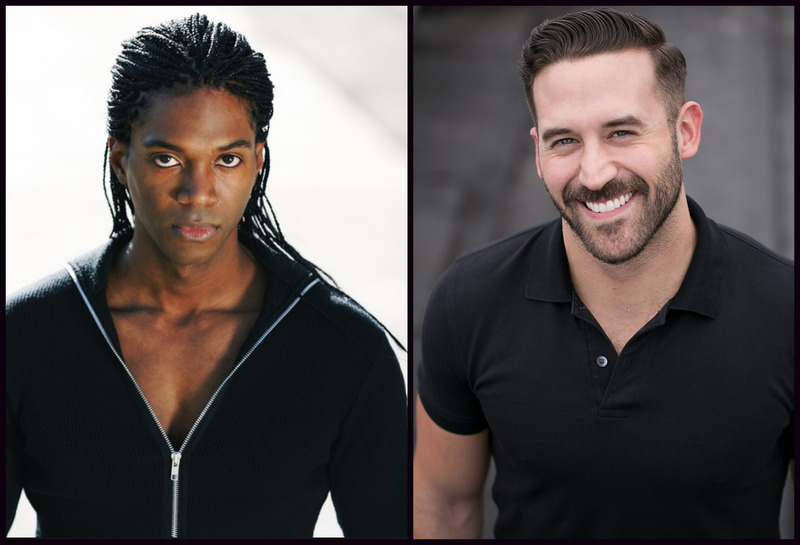 Both productions will feature barihunks, with the Madison Opera featuring Nmon Ford and Florida Grand Opera starring Steven LaBrie as Riolobo. Florida Grand Opera will present five performances between April 28-May 5. Tickets and additional cast information is available online. The Madison Opera will present two performances on April 27 and 29, with tickets and additional cast information available online. 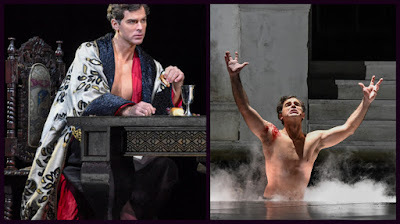 The role of Riolobo has become a popular barihunk vehicle, with such notables as Nathan Gunn, Gabriel Preisser, Shannon De Vine, Luis Alejandro Orozco, Norman Garrett, José Carbó, Joseph Lattanzi and Keith Miller all taking on the role of the ship's mate, who is the focus of the magical realism of the piece. The Fargo-Moorhead Opera, continues to present some of the most compelling new American operas, with their April 6 and 8 performances of David T. Little's gripping Soldier Songs with American barihunk Christopher Burchett returning to the role of the Soldier. Tickets are available online. Soldier Songs traces the shift in perception of war from the age of 6 to the age of 66. Follow the lead character through the phases of life from boy to man: playing violent video games as a boy, enlisting & serving in the military, dealing with the real-life horrors of war & later in life dealing with the real-life horrors of war - becoming a father whose worst fears are realized with the news of the death of his son. Adapted from interviews with veterans of five wars, this opera theater experience explores the ideas versus the realities of the Soldier, the exploration of and exploitation of innocence along with the "seemingly impossible" of expressing the truth of war. Burchett has performed the piece with the Prototype Festival and Beth Morrison Projects in New York and Amsterdam. 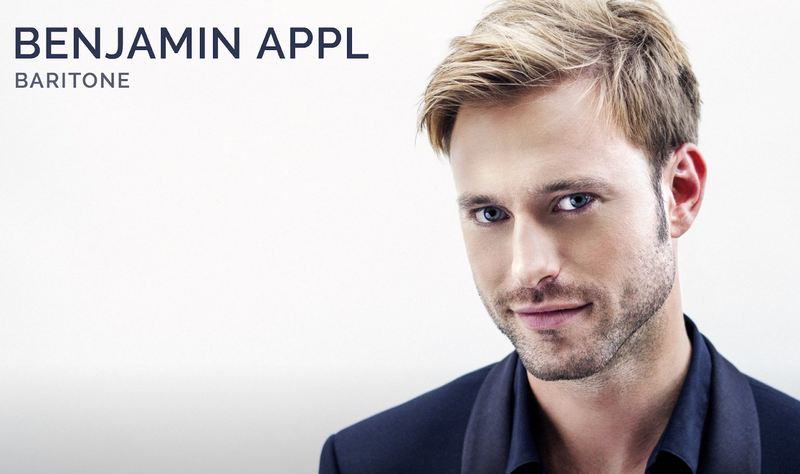 German barihunk Benjamin Appl has already been recognized as one of the leading lieder singers of our age, despite being only 35 years old. From May 31-June 3, he will make a rare appearance in the United States when he performs Kullervo by Siblius with the Seattle Symphony and soprano Maria Männistö. We believe that this may be his West Coast debut, as his bio lists his only U.S. appearances at Carnegie Hall and at the Ravinia Festival. He will also be joining soprano Helena Juntunen for a performance of Kullervo on May 17th with the Scottish Symphony Orchestra. The Kullervo "choral symphony" is based on the epic poem Kalevala. It is not until the third movement, over thirty minutes from the beginning of the work, that the male voice choir and the soloists make their voices heard. The orchestra creates the atmosphere and finally the choir begins the story: Kullervo, son of Kalervo, son of an old man, wearing blue stockings. The archaic atmosphere is accentuated by male voice choir, which sings in unison. Berfore his U.S. appearance, Appl has a series of lieder recitals, including a Bach recital in Köln and his HEIMAT recital tour, which is headed to Hong Kong, the Château de Coppet in Switzerland, the Gut Holzhausen Voices Festival in Nieheim, Germany, and at the Reydale Festival in Pickering, U.K.